Osman “Cisco” Hance currently resides in Port St. Lucie, FL. He has been involved with DCI since 2003. He started marching with Magic of Orlando under the instruction of Colin McNutt and Brian Tinkel. In 2005 he joined Carolina Crown and acted as center snare and percussion section leader from 2005-2007. While at Crown he was under the instruction of Brian Tinkel, Jeff Queen, Ian Hale, Lee Beddis, Zach Shlicker, and Luis Rivera. Cisco has also been teaching WGI Open Class “Stryke Percussion” since 2008. 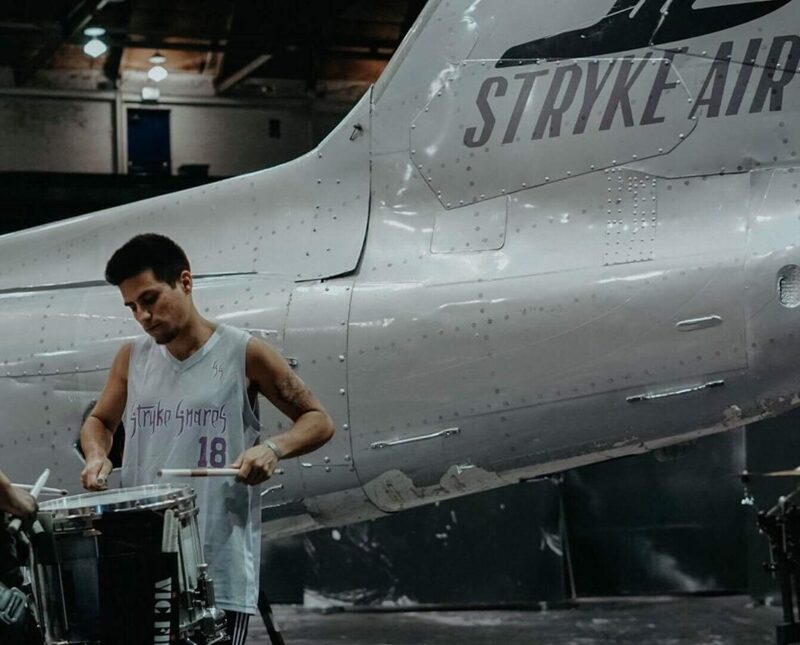 Stryke has placed in the top ranks at WGI finals for several years, receiving the bronze medal in 2008, and silver in 2010 and 2011 in the Independent Open Class. Now in the Independent World Class, the group most recently placed 8th. Cisco remains as the group’s and Battery arranger and ensemble Coordinator. In 2009, Cisco worked as the snare tech for the Teal Sound Drum and Bugle Corps, where he helped the corps successfully transition into DCI’s World Class. Subsequently, Cisco became the snare technician for the Madison Scouts Drum and Bugle Corps. Today, Cisco serves as the Percussion Director/Arranger for the Park Vista Marching Band in Lake Worth, Florida as well as the Director of Percussion at Jupiter High School in Jupiter, FL. For The Academy Drum and Bugle Corps he served as the Percussion Coordinator in 2014 , as Percussion Manager in 2016, and has served as Percussion Caption Head, since 2017. Mark is a freelance percussionist and educator based out of Lawrence, New Jersey. 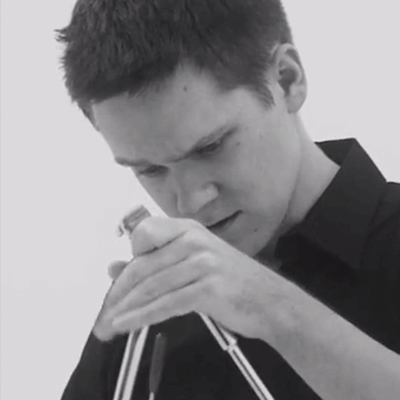 He holds a DMA Percussion Performance from the University of Illinois at Urbana-Champaign. Mark is a frequent performer for the Princeton Sound Kitchen premiering new works by composers at Princeton. As a teacher he works with the percussion programs at Hunterdon Central and Hopewell Valley High School and maintains a private lesson studio in the Princeton area. Before moving to New Jersey, he worked at the University of Texas-Brownsville as a lecturer of percussion and prior to that appointment was a freelance performer and teacher in Chicago. He has appeared as a soloist with the University of Texas-Brownsville Wind Orchestra, Roma High School Percussion Ensemble, University of Illinois Wind Symphony and Wind Orchestra as well as the Overton High School Wind Ensemble from Memphis, TN. In 2010, he was selected as one of the thirty finalists to compete in the TROMP International Percussion Competition, held in the Netherlands. Mark also performed as a member of the University of Illinois Gamelan Ensemble, at the 2009 Percussive Arts Society International Convention and the 2008 Bali Arts Festival in Denpasar, Bali. This year will mark his 22nd year of involvement with Drum Corps International. He spent ten years as a member of the Phantom Regiment organization from 1995-2004. From 2008 to 2010, he was a Front Ensemble instructor for the Santa Clara Vanguard, serving as Co-Caption Head in 2010. He is excited to return for his sixth year with The Academy, where he started in 2013 instructing the front ensemble. 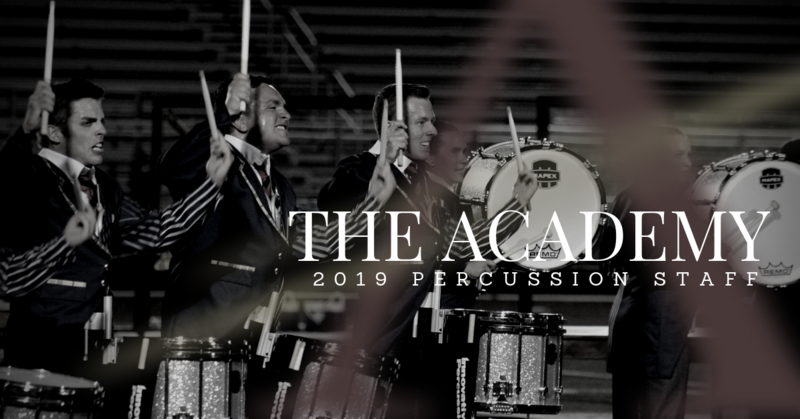 He stepped into the arranging role for The Academy in 2014, and looks forward to another fantastic year serving as Percussion Arranger and Percussion Coordinator in 2019. A native of Toronto, Ontario, Canada, Lee Beddis spent his youth with the Peterborough Krescendos, the Canadian Knights, and the Dutch Boy Drum Corps. He would later move south to join the ranks of the World Champion Garfield Cadets, in order to become part of the now-legendary “perfect” percussion line of 1987. After winning his second title in 1990, he aged out, swiftly moving into the role of instructor. His instructing experience includes the Madison Scouts, Star of Indiana, and the Phantom Regiment. It was there, in 1996, that Beddis helped capture the World title with his ambitious leadership and musical compositions for “The Defiant Heart”, an all-Shostakovich program. In 1997, he turned his skills to the rebuilding of the Toledo, Ohio, Glassmen. Within the year, his expertise found immediate reward, moving that section into the forefront world-class recognition. After the successful 2000 season, he moved to the Crossmen, where he remained until his appointment as Percussion Coordinator to the Madison Scouts. Beddis’ unique reputation as a program builder prepared him for the role of returning the 2005 and 2006 Madison line to elite status. In 2007, Lee’s unique reputation of building quality percussion programs with success in short periods of time fit in right with Carolina Crown’s desired level of success. Through the 5 seasons with Carolina Crown, Lee’s leadership and team brought the percussion program to within striking distance of the best percussion section in the world along with contributing to the overall success of the drum corps. After much evaluation, Lee decided to return to the Madison Scouts in 2012-2014 and The Cadets in 2014 and 2015. He began his percussion instruction in Madison in 1991 and marched the Cadets 1987-1990. He recognized these moves as being a great challenge and it proved to be successful in building and maintaining the percussion program at elite status with both groups. Lee’s experience at all levels of instruction from technician, to caption head, arranger and percussion coordinator has made him the perfect choice for consulting with the Academy in 2017. In addition to drum corps experience, Beddis is in demand throughout the United States and Canada as a highly-regarded judge for Winter Guard International. He started teaching and arranging for WGI groups in 1994 and moved into judging in 1999. Mr. Beddis proudly endorses Yamaha, Remo, Vic Firth, and Zildjian, while conducting marching percussion clinics across North America and beyond. Dr. Lonny Benoit is Head of the W.A. and Dorothy Hanna Department of Performing Arts and Coordinator of Percussion Studies at McNeese State University in Lake Charles, Louisiana. Benoit is the director of the McNeese Percussion Ensemble, McNeese Ragtime Pokes, Steel Drum Band, Cowboy Bloco, West African Drum and Dance Ensemble, and Pride of McNeese Drumline. Benoit served as Front Ensemble Caption Manager of the Santa Clara Vanguard Drum and Bugle Corps from Santa Clara, CA (2007-09). Benoit is the former Percussion Caption Head of the Phantom Regiment Drum and Bugle Corps from Rockford, Illinois. Prior to working with Phantom Regiment, Benoit was a staff member for the Blue Knights Drum and Bugle Corps (Denver, CO) and is a former member of the Cavaliers Drum and Bugle Corps (Rosemont, IL). As a performer, Benoit is a member of the percussion group CHAAC. Benoit has appeared with the Lake Charles Symphony, the Las Vegas Philharmonic, the Rapides Symphony, the Acadiana Wind Ensemble, and TAD Wind Symphony from Tokyo, Japan. 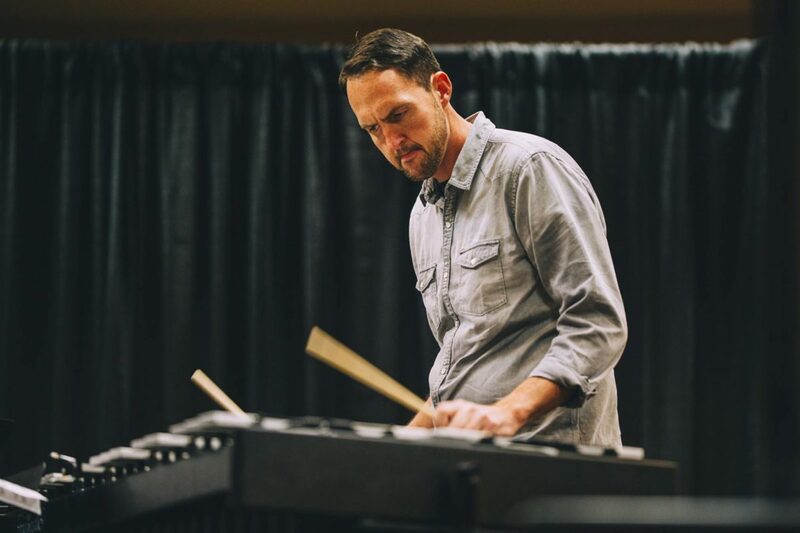 Benoit regularly presents clinics and master classes throughout the United States and abroad and has also been a featured clinician at several PAS State Days of Percussion. Lonny Benoit received his Doctor of Musical Arts and Master of Music degrees from the University of Nevada-Las Vegas under the tutelage of Dr. Dean Gronemeier. Benoit is an artist/clinician for Pearl Drums and Adams Musical Instruments, Zildjian cymbals, Vic Firth Inc., and Remo drumheads. 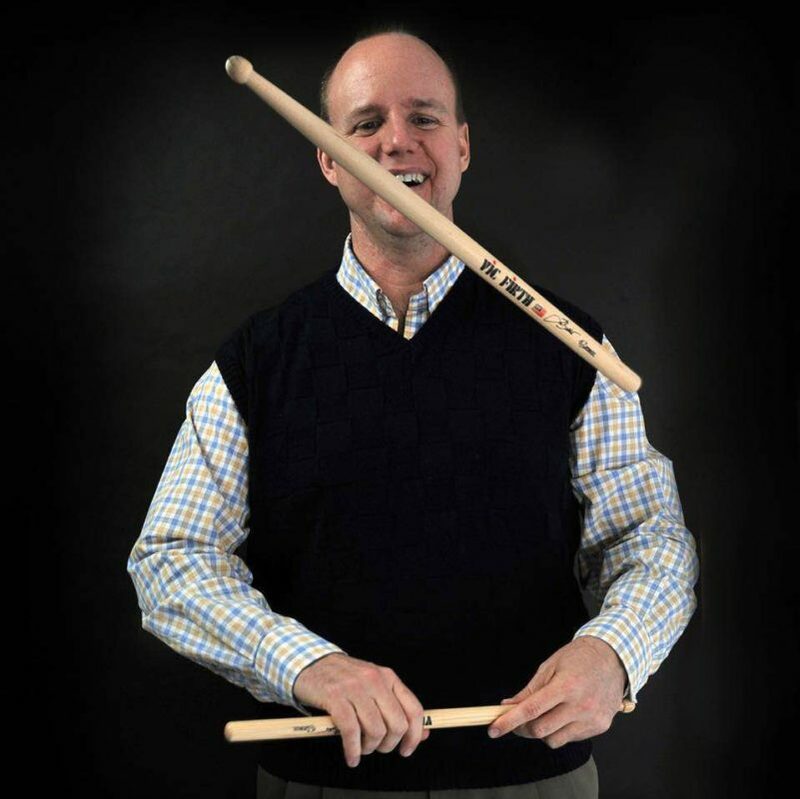 He has been an educator since 1998 and has taught, consulted, and arranged for many groups including Connecticut Hurricanes Senior Drum and Bugle Corps, Kilties Senior Drum and Bugle Corps, and WGI Independent World Finalist STRYKE Percussion. He was also the Program Coordinator/Battery Arranger/Visual Designer for John I. Leonard High School Winter Percussion. Currently, Rudy is the Percussion Caption Head for Jupiter High School. Tim Berg, M.M. is a percussionist, composer, and educator currently residing in Chicago, Illinois. He has taken music lessons since age six and has played piano, guitar, drums, and mallet percussion professionally since recording his first CD at the age of fourteen. Mr. Berg studied with William Moersch and Ricardo Flores at the University of Illinois where he was awarded degrees in Percussion Performance & Literature and Instrumental Music Education. As an arranger and performer Mr. Berg is best known for his work on the steel pan. Currently he is working on recording original arrangements of J. S. Bach’s Sonatas and Partitas for Solo Violin on solo tenor pan. His steel pan music and arrangements span a variety of genres from traditional calypso and soca to classical chamber music to popular video game songs. He has toured and recorded with Bones Jugs, a ragtime-calypso-jugband mashup playing steel pan, xylophone, drum set, guitar, and many other toy percussion instruments. He was credited on three albums of both original music and covers and has performed at venues and festivals all across the United States. Mr. Berg is currently the Percussion Director and Steelband Director at Naperville Central High School in Naperville, IL, the Percussion Director of the Lincoln-Way Community Marching Band in New Lenox, IL, and is excited to work with the Academy Front Ensemble for his sixth season. He is a proud endorser of Innovative Percussion sticks and mallets. Alex Nash is a prominent educator in the Central Florida marching community. He has worked with a number of bands in the area including Winter Springs, Timber Creek and Olympia high schools. Independently, he has been a bass instructor at Infinity 2 from 2016-2018, where they took home the PIO Gold in 2017. He has also worked with Infinity 3 and Heatwave Drum and Bugle Corps. During his marching days, Alex performed with Timber Creek Independent (2011), Teal Sound (2012), The Academy (2013), and POW Percussion (2014). Alex is excited to be back with his age-out group for the 2019 season! 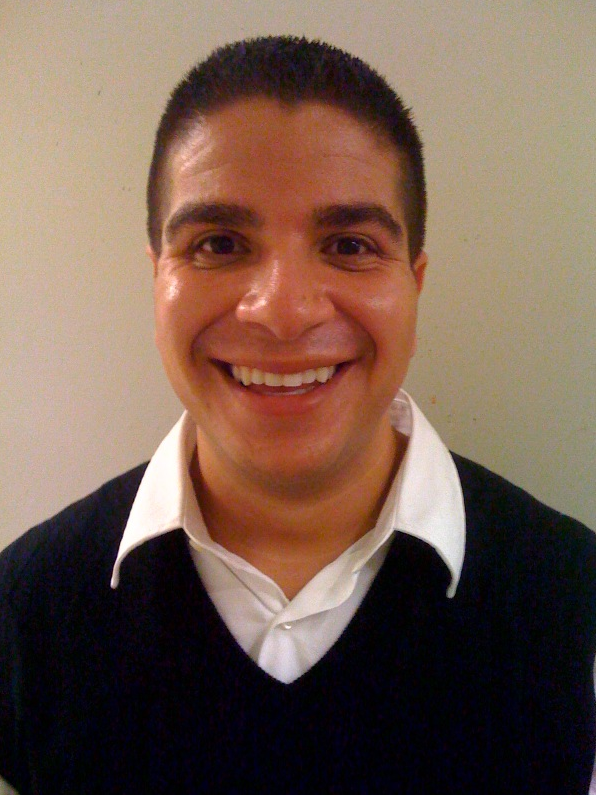 Giovanni Pagliaro is a percussion educator and full time student at Florida State University. He began his performing arts career with STRYKE Percussion in 2013 and marched with the ensemble through 2015, helping the group win its first fan favorite award. Throughout his time as a performer, Gio went on to march for world renown ensembles Carolina Crown from 2014 to 2015, & Rhythm X in 2016. Gio has also performed professionally at Hershey Park as a drummer for the Cocoa Rhythm Factory in association with Windish Music & Entertainment. He has also performed with the Miami FC drumline & Miami Marlins drumline in association with Stryke Entertainment. Gio has taught battery percussion for a number of years at local South Florida High Schools/Universities that include: West Broward High School, Coral Glades High School, Doral Charter Prep, Florida International University & battery arrangement for Everglades High School & Spanish River High School. He has also been on staff with STRYKE Percussion since 2017 as a battery instructor, specializing in snare drum instruction. Gio was also most recently the Music Director for the Spark Plugs, a drumming trio at Lake Compounce in Bristol Connecticut, in association with RWS entertainment and Windish Music & Entertainment. This will be Gio’s first year on staff with The Academy Drum and Bugle Corps. Returning for his fourth year on staff with The Academy, Luke Vogt is a percussionist and educator currently residing in Fort Worth, Texas. 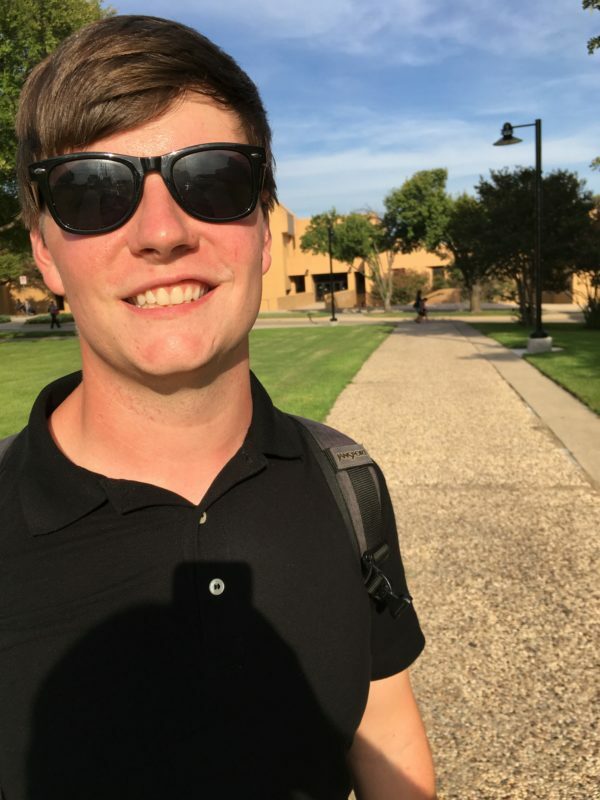 In the area of marching percussion, Luke has performed with the Arizona State University Marching Band, ASU Indoor Percussion Ensemble, The Academy Drum and Bugle Corps, Blue Knights Drum and Bugle Corps, and the entertainment drum lines for both the Phoenix Suns and the Arizona Cardinals. 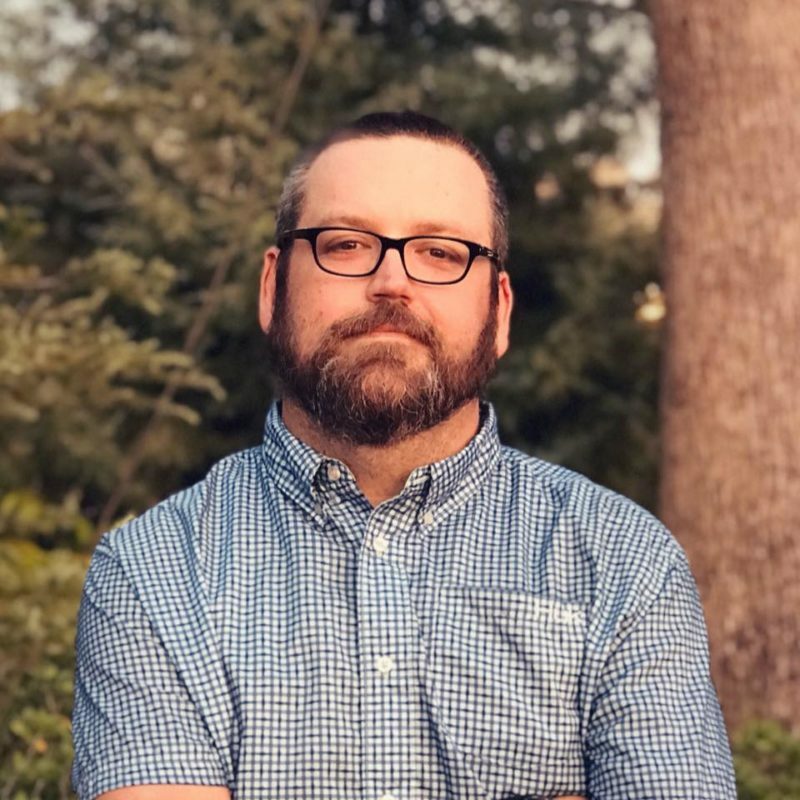 As an educator, Luke has worked for numerous schools in both Arizona and Texas and is currently on staff at Boswell High School in Fort Worth, Texas. 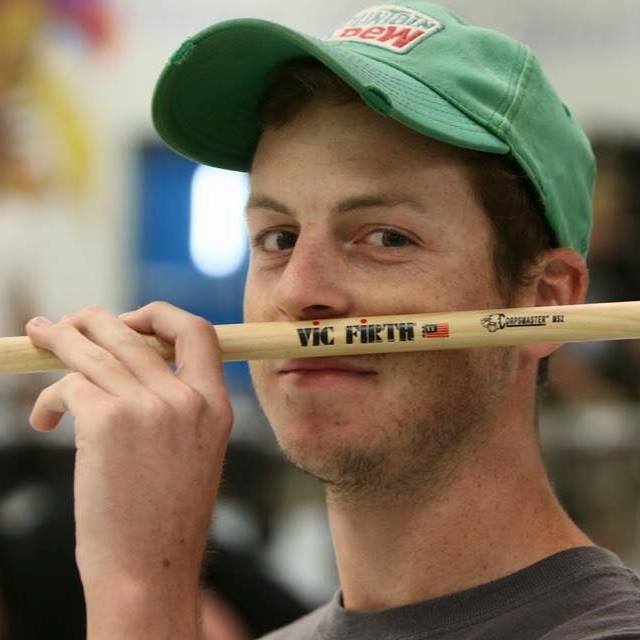 In the world of WGI, Luke is currently on staff as the quad coordinator with Vigilantes Indoor Percussion. In addition to his work as an educator, Luke has arranged and composed for marching percussion ensembles throughout the country in both the indoor and outdoor arena. 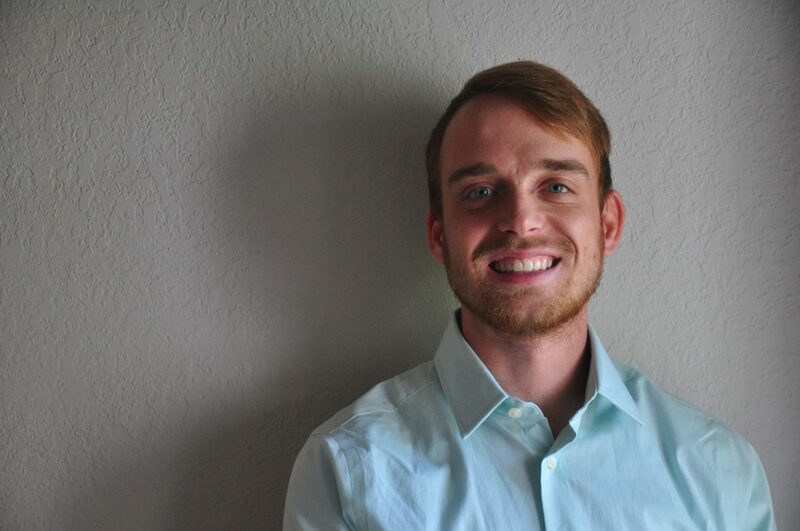 Luke recieved a bachelor’s degree in Music Education from Arizona State University and is currently a graduate assistant at Texas Christian University pursuing a master’s degree in Percussion Performance. 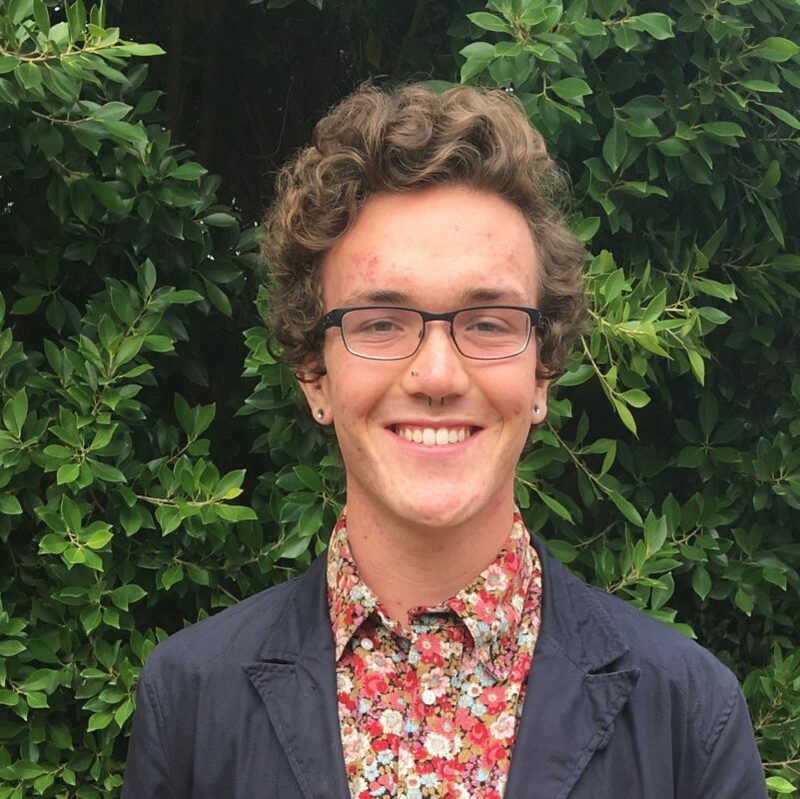 Noah Cole is currently a senior in History at Florida State University with a double minor in education and the Latin language. Born and raised in Florida, he is originally from Orlando and now resides in Tallahassee for school. His academic interests primarily focus on medieval and Early-Modern intellectual history in Europe. Specifically, the intersection of religion and politics, educational techniques and philosophy in the West, and articulations of sovereignty. Noah is excited to join the Academy for his second season as bass tech. He currently is entering his third year with Ancient City Ensemble, with this being his first as co-battery coordinator. He also helps as a clinician at East Lake High School in Tampa. He has previously worked for a number of high schools in the Florida area since 2014. Noah began his drum corps career with the Sun Devils Drum Corps in 2013 and 2014, and made the jump to world class when he marched the Colts Drum and Bugle Corps in 2015 and 2016. He aged out with the Cadets in 2017. In addition to this, he marched Ancient City Ensemble in 2014 and Atlanta Quest 2015 and 2016. Miles marched at The Academy Drum and Bugle Corps for two years back in 2014 & 2015. His other marching experience consists of three years with Breakthrough Indoor Percussion (2013-2015), two years with the Sun Devil College Marching Band (2014 & 2015), three years with Riverside City College (2016-2018), and two years with The Blue Devils Drum and Bugle Corps (2016 & 2017). He graduated from ASU with a Digital Culture (Musical Concentration) Major in 2018. 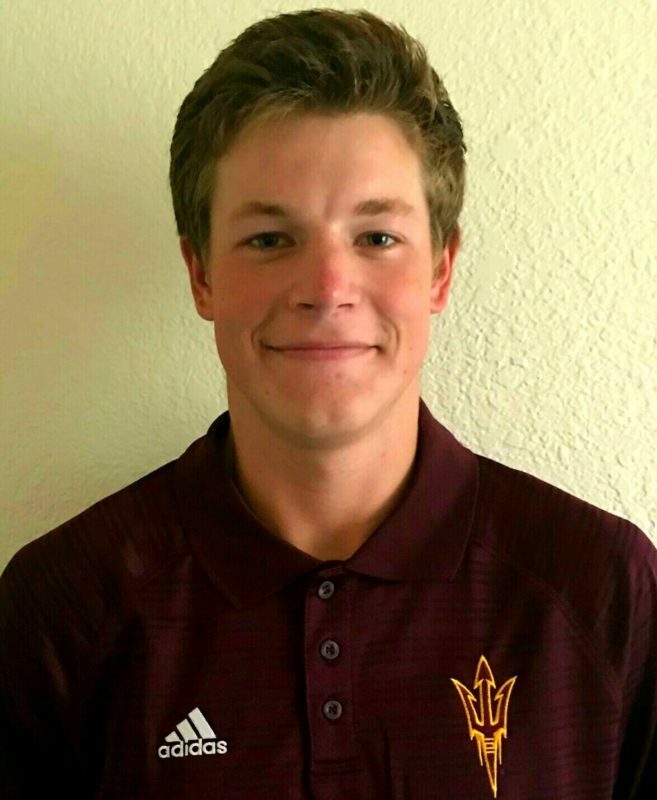 He is currently teaching the quads at Arizona State University and is the Battery Coordinator at Gilbert High School. Besides playing and teaching drums, Miles enjoys creating electronic music in his spare time, in hopes of starting an electronic music composition/production career. 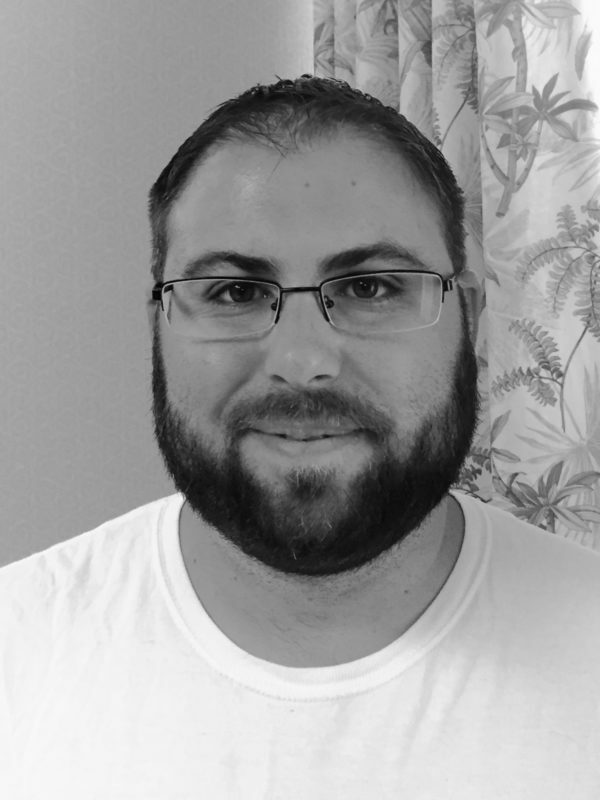 Sean McNulty is a percussion educator currently residing in Jupiter, Florida. He earned his Bachelor’s degree in History from the University of Central Florida in 2013. While earning his degree, Sean was a member of WGI’s STRYKE Percussion from 2011-2014. Sean currently works as Battery Coordinator for STRYKE Percussion World, in addition to working with many High School Marching Bands in South Florida. These Marching Band’s include Park Vista HS in Lake Worth, Florida where he works as Battery Coordinator, and Seminole Ridge HS in Loxahatchee, Florida where he works as Percussion Director. Sean was also a battery consultant for The Academy Drum and Bugle Corps in 2018. He is excited to return in 2019 as a Snare Technician! Justin Robards has been a percussionist for over 25 years. He has performed with the Tampa Bay Thunder Drum and Bugle Corps, the Kiwanis Kavaliers Drum and Bugle Corps, and has performed in front of millions at the Super Bowl XLI pregame show with Cirque du Soleil in Miami, FL. 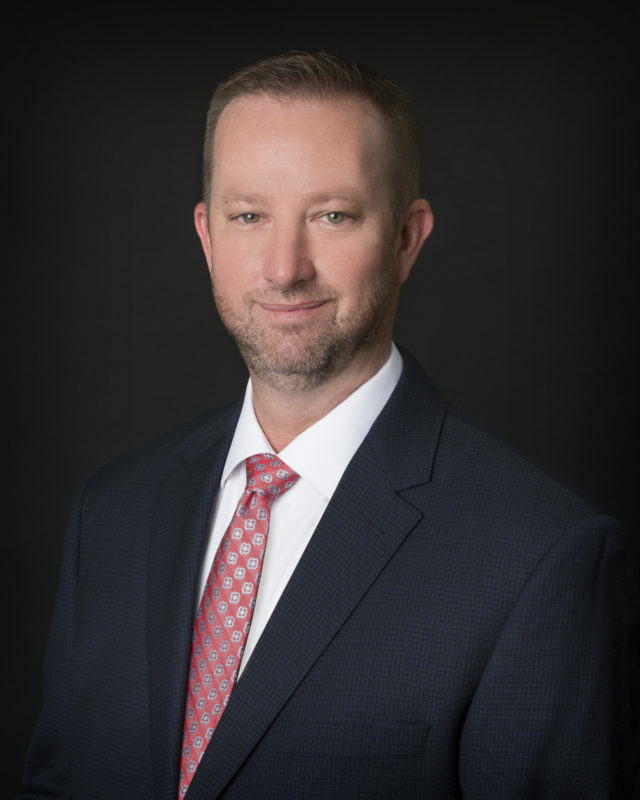 Justin has taught many top programs in the state of Florida including Jupiter, Park Vista, Oviedo, Winter Park, Jensen Beach, and works currently with the Palm Beach Central and Seminole Ridge high schools. He has also taught numerous drum corps and indoor percussion groups including Carolina Crown (2018),Kiwanis Kavaliers (2004), Magic (2005), Teal Sound (2008-2010), Jersey Surf (2013), and Heat Wave drum and bugle corps (2018), as well as Infinity (2008-2010), Riptide (2009), Aquarius (2011), STRYKE (2012-2017), 2018 Independent A Bronze medalist FIU Indoor Percussion, the 2016 gold medalists of WGI’s independent A champion STRYKE 2 percussion ensemble, and the 2017 WIW Silver medalist and 2018 Bronze medalist STRYKE Wynds. Currently, Justin is working with Infinity, Unity Percussion, and FIU Percussion for the 2019 WGI season. Justin is a proud endorser of Vic Firth sticks and Zildjian Cymbals and is currently celebrating his 18th year as an active instructor, arranger, audio engineer, and clinician. He is excited to be the Electronics Caption Head at The Academy Drum and Bugle Corps this summer, where he will be working with some of his best friends. Cameron Brown, Graduate Assistant at The Florida State University, is currently pursuing an M.M. in Percussion Performance under the instruction of John W. Parks IV, where he performs in the University Symphony Orchestra, Wind Orchestra, and Percussion Ensemble. He also holds a B.M. Music Education from The University of North Texas, where he was fortunate to perform in a wide variety of ensembles including the Symphony Orchestra, Symphonic Band, The UNT Percussion Ensemble, 2 O’Clock Steel Drum Band, Gamelan, South Indian Cross-Cultural Ensemble, Brazilian Ensemble, African Ensemble, and the UNT Green Brigade Marching Band, where he was the center marimbist. From 2012 to 2015 he was a front ensemble member of the Blue Knights Drum and Bugle Corps and in 2015 he had the privilege of serving as the front ensemble section leader for the organization. As an educator and arranger, Cameron has worked throughout the Dallas/Ft. Worth area as an assistant percussion instructor, private lesson teacher, front ensemble instructor, and front ensemble arranger. In the 2017 indoor drumline season, he instructed the front ensembles for Carroll HS and Roots Percussion Independent; both of whom were gold medalists in their respective classes in NTCA. In 2016 through 2018 he was a front ensemble instructor for The Academy Drum and Bugle Corps, where in 2016 the corps made their first appearance as a Drum Corps International Finalist. Cameron has been very fortunate to have been under the instruction of many renowned percussion educators including John W. Parks IV, Robert Schietroma, Mark Ford, Christopher Deane, Paul Rennick, Ed Smith, Jose Aponte, Poovalur Sriji, Gideon Alorwoyie, Kevin Shah, Mike Jackson, and Ralph Hardimon. He is a member of the Percussive Arts Society and the Texas Music Educators Association. 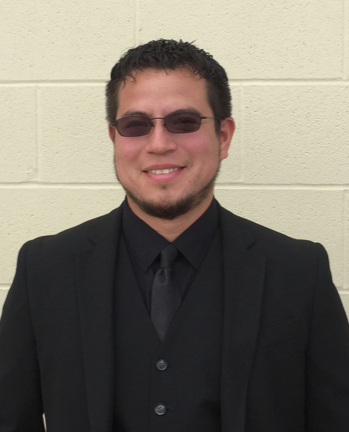 Raul Garza is currently an assistant Band Director at San Benito CISD. Raul has had the opportunity to teach Front Ensembles at UTB Indoor Percussion Ensemble, Timbre Indoor Percussion Ensemble and The Academy Drum and Bugle Corps. Raul currently holds a B.A. in Music Education from the University of Texas at Brownsville. During his attendance at UT Brownsville, Raul performed with numerous ensembles including the Wind Ensemble, Orchestra, Marimba Quartet, Marimba Reyna Ensemble and The UTB Indoor Percussion Ensemble. As a member of the Wind Ensemble and Percussion Ensemble, he had the opportunity to perform with Dr. Brian Zator, Dr. Ney Rosauro, Maraca Two, Mark Ford, and Dr. Mark Eichenberger. In 2010, Raul was a Front Ensemble member of Revolution Percussion Ensemble. In 2015, Raul had the opportunity to perform at the Texas Music Educators Association convention with the UTB Percussion Ensemble. Thomas Buchanan is an active front ensemble instructor in the Phoenix metro area. Since December of 2014 he has taught at various high schools including Mesa and Casa Grande Union. He also served on staff at Shadow Drum and Bugle Corps for the 2017 season. 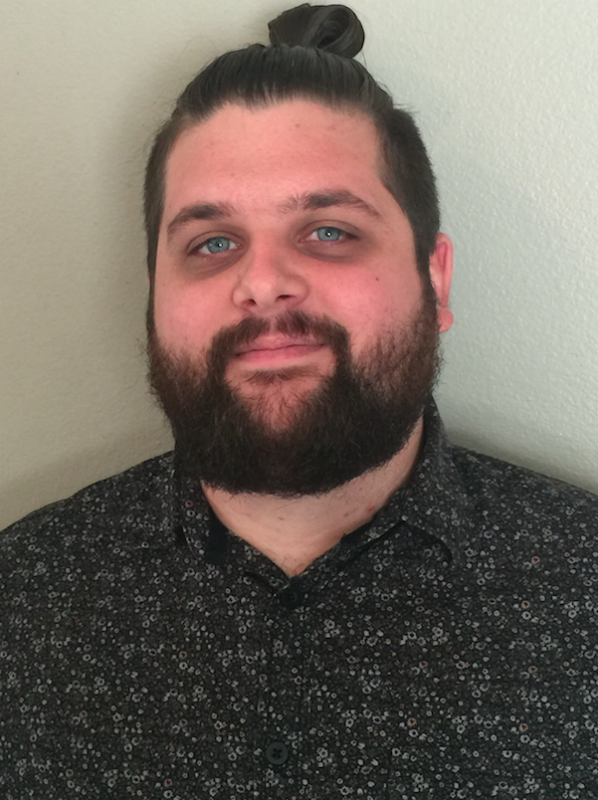 He currently works with Vision Percussion, Perry High School, and Basha High School, his alma mater. Thomas’s performance experience includes The Academy Drum and Bugle Corps 2013-2016, where he was section leader for his last two years. 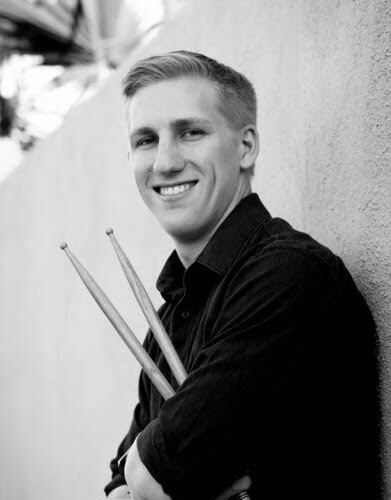 He has also performed with Breakthrough Percussion and the percussion ensembles at Chandler-Gilbert Community College and Northern Arizona University. He has been taught by instructors such as Dr. Mark Eichenberger, Tim Berg, and Dustin Roa and impacted by many others, especially students and colleagues. Thomas holds a Bachelor of Arts in English from Arizona State University. He could not be more excited to join The Academy percussion staff.